I absolutely love buying new makeup! I think you could probably call it an obsession 🙈 I popped into my local Superdrug the other day and treated myself to a few new products. I was looking for a high street foundation that I could wear everyday. 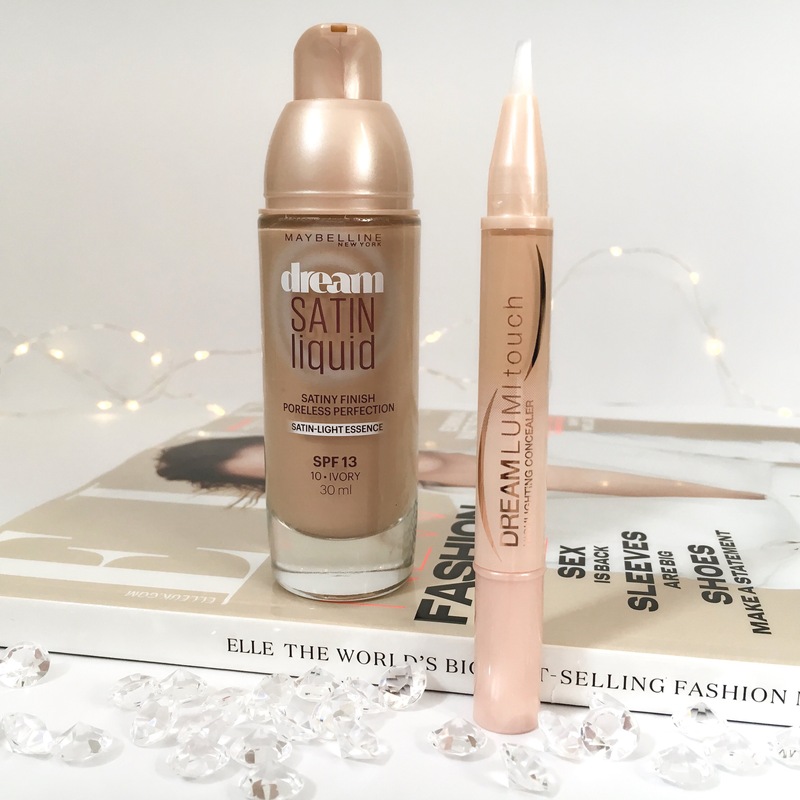 I chose the Maybelline dream satin liquid foundation in the shade ivory (as I am so pale at the moment and desperately need summer!). I used to wear dream matte mouse about 6 years ago and never wore Maybelline foundation again after that faze so I thought it was worth going to back to the brand and trying a different product. The colour matches my skin tone perfectly and it applies really well with a damp beauty blender, I find it doesn’t last as long as some of my other foundations but for the price it’s definitely one that I will repurchase. I also got a new concealer also by Maybelline called dream lumi touch. It is a highlighting concealer which is greater for brightening under your eyes. I do use this with my Collection lasting protection concealer as I like it to be very full coverage. 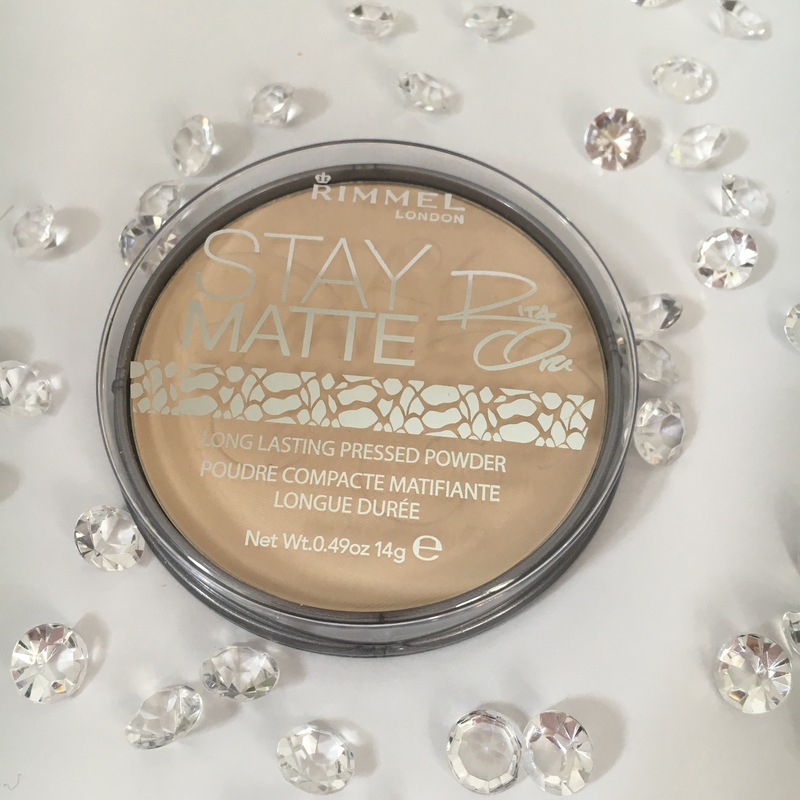 It works really well with the foundation but it isn’t as full coverage as I would like. I needed a new powder to replace my MAC studio fix so I bought the Rimmel stay matte powder in the shade transparent as I always see so many people talking about it. I use it to set my foundation and it is perfect for what I want it for. It doesn’t leave my face feeling or looking powdery which I have found with some other high street powders. I would definitely recommend it as it is really affordable! The last item I bought was this amazing Rimmel palette. 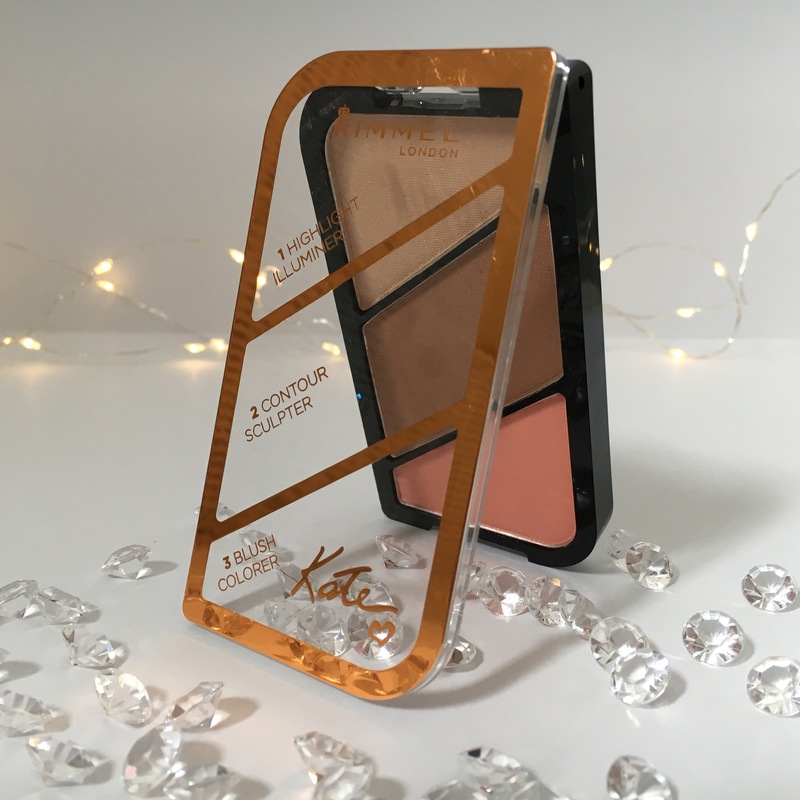 It is a highlighter, contour bronzer and blush and it is so perfect and will be so handy for travel as it is a three in one! I always use Benefit Hoola to contour but I have fallen in love with this bronzer and love it nearly as much as my Hoola. The blush is such a pretty pink and I will definitely be wearing it a lot more in the Spring. The highlighter isn’t amazingly glowy but it is really nice for everyday and the colours work so well together. So these are my new products, I hope you liked this post. Let me know if you have tried any of these products or if there is anything that you have bought recently. Oooh so many lovely products! I defs need to try this bronzer, I am also madly in love with Hoola so this one might br right up my street! 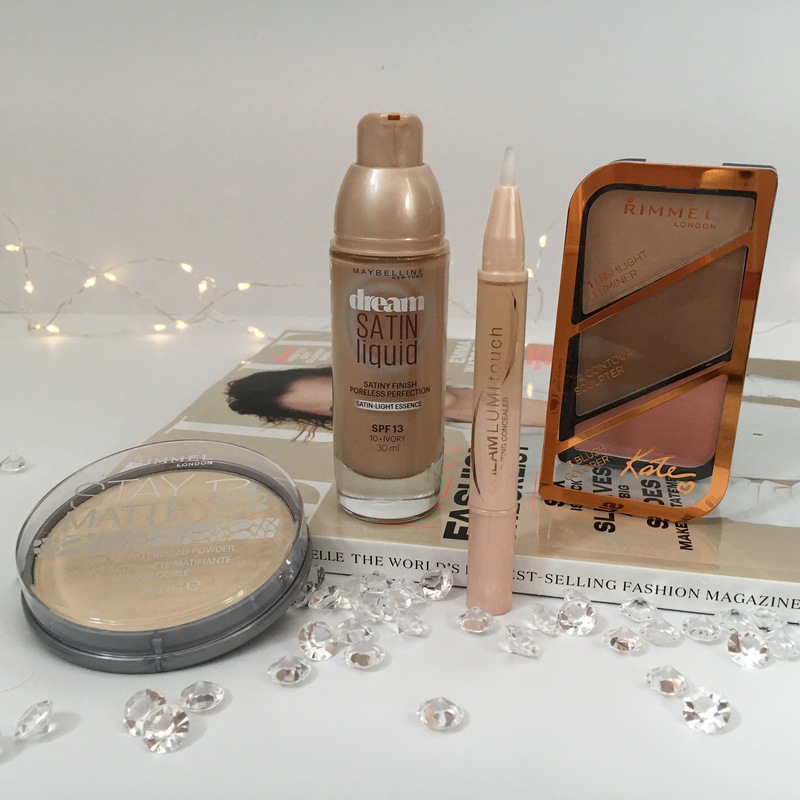 I picked up the contour/blush/highlight kit recently too but haven’t tried it out yet! Im so glad that you liked the Rimmel contour palette. I’ve been eyeing this up for so long! That concealer sounds good too so I may have to purchase that one too! Your photography is slaying rn as well!